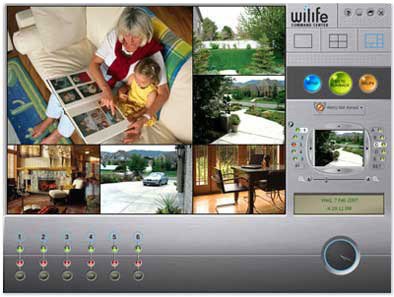 Most of the low cost video systems designed for home use are based on poor quality cameras and DVR's. Installation typically costs as much as the hardware and requires drilling, surface mount wiring, and access to crawl spaces and attics. Logitech's WiLife product line addresses these issues with a family of affordable video surveillance products that are 'Plug-and-Play' simple to install and operate. To get started, plug the USB receiver into your PC and follow instructions for loading the software. 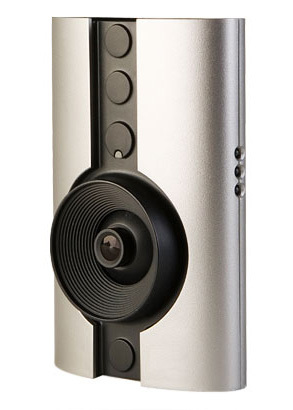 The cameras plug into an AC outlet and use your house wiring to transmit the video to the PC. Within 15 minutes you will be up and running. Video is recorded onto your PC's hard drive for live viewing or browsing of up to six cameras. The cameras record on motion, and can be configured to send email or cell phone alerts if motion is detected when the home is supposed to be vacant. The software supports free remote viewing via the Internet, and can even display images on Windows Mobile (c) enabled cell phones. For more information about this product line, visit the WiLife website, or contact WatchPoint Video for a quote.